Midland MPs have been put at the heart of business and finance in Westminster as two politicians continued a meteoric rise. Bromsgrove MP Sajid Javid has has been appointed Business Secretary in David Cameron’s new cabinet, after a period as Culture Secretary. He will have the task, alongside Chancellor George Osborne, of ensuring the Conservative government keeps its election promises to create 160,000 extra jobs in the West Midlands and make sure at least six in ten new jobs nationwide are created outside of London and the south east. There was also a promotion for Birmingham MP Shabana Mahmood, the Labour MP for Birmingham Ladywood, who becomes Shadow Chief Secretary to the Treasury. This puts her second-in-command in Labour’s Treasury team, behind new Shadow Chancellor Chris Leslie. 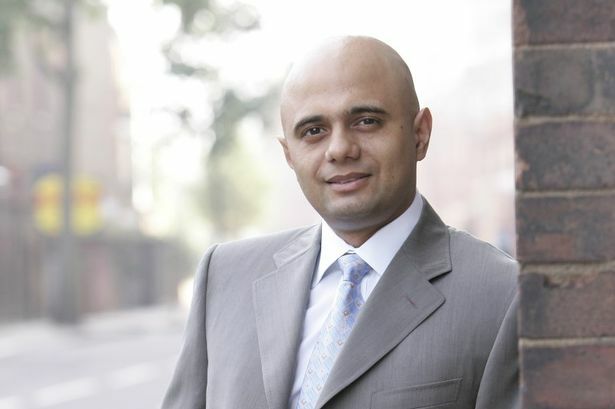 Mr Javid became an MP for the first time in 2010 and was appointed as an aide to Mr Osborne in 2011, before becoming a Treasury Minister in 2012 and joining the Cabinet as Culture Secretary in 2014. His step up into what is usually considered a more senior Cabinet role comes after David Cameron’s Conservatives won a majority in the general election, so that Tories now govern alone rather than in Coalition with the Liberal Democrats. The previous Business Secretary was Liberal Democrat Vince Cable, who lost his seat. Mr Javid is one of five sons of his bus driver father, an immigrant from Pakistan. He will face pressure from the business community over Conservative plans to hold a referendum on leaving the European Union. Other Cabinet changes include a role for London mayor and high-profile Tory Boris Johnson, who will sit in the Cabinet but will not hold a ministerial post. Former Cities Minister Greg Clark becomes new Local Government Secretary in the Conservative government - a move that will be welcomed by council leaders who got on well with Mr Clark but found his predecessor in the role, Eric Pickles, hard to work with. Meanwhile, Harriet Harman is overseeing the reshuffle of Labour’s Shadow Cabinet in her role as acting leader, following the resignation of former Labour leader Ed Miliband. The previous Shadow Chancellor, Ed Balls, lost his seat in the election. But there were rumours that Mr Balls could make a comeback – by standing in the seat of Coventry North West if sitting MP Geoffrey Robinson triggers a by-election by standing down. The prospect was welcomed by one local Labour figure, Damian Gannon, a Labour councillor and Coventry City Council’s Cabinet Member for Finance.